911uk.com - Porsche Forum : View topic - Will Porsche unveil 2015 911 GTS 991 facelift as the 992 ? 911uk.com Forum Index > All New 992 (2018 - current) > Will Porsche unveil 2015 911 GTS 991 facelift as the 992 ? Posted: Sun Aug 31, 2014 8:05 pm Post subject: Will Porsche unveil 2015 911 GTS 991 facelift as the 992 ? his year’s Los Angeles Auto Show, which kicks off on November 20, will be one of the biggest on record, with at least 25 world premieres scheduled to take place—and one of them could be the 2015 Porsche 911 Carrera GTS. We’ve been spying prototypes for the new GTS for several months now, including prototypes for coupe, convertible and even targa bodystyles. Now, Motor Trend journalist Jonny Lieberman has posted on his Twitter account that the new GTS will be at the L.A. Auto Show and that it will feature a “992” chassis code instead of the regular 991 code used for the current 911 range. 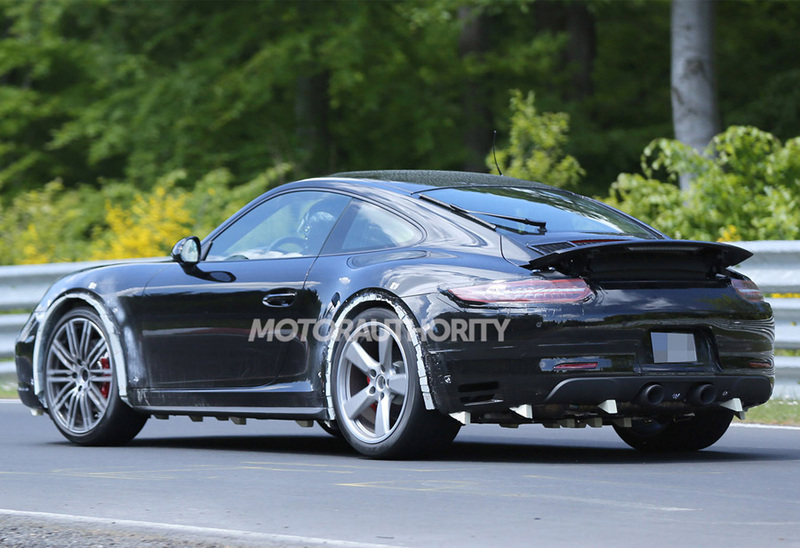 It’s possible the 992 chassis code is Porsche’s new designation for its facelifted 911 range, which has also been spied and is expected to arrive for the 2016 model year. This would make the new GTS the first model in that range (prototypes of the facelifted 911 feature the same visual updates as the new GTS, particularly those found in the front section of the cars). In Porsche tradition, the facelifted 911 range would use a “991.2” designation so perhaps this could explain the 992 code mentioned on Twitter.